A perfect smile represents confidence and success in both your private and professional life. You feel great knowing not only do you look amazing but that your smile is a healthy smile. With straight teeth keeping them clean is easier so both your teeth and gums will be healthy for longer. Incognito™ is a high-tech appliance for patients with all kinds of different malocclusions. 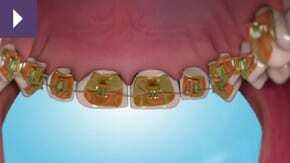 It is completely invisible, easy to keep clean and the only one who knows you are having orthodontic treatment is you. It is designed only for your teeth so not only does this mean it is a perfect fit but that you will get perfect results. Both the brackets and the wires of the Incognito appliance are manufactured individually with the latest state of the art CAD/CAM technology. The remarkable flat design of the gold alloy brackets (anti-allergic) provides maximum patient comfort and rapid adaptation to speech.